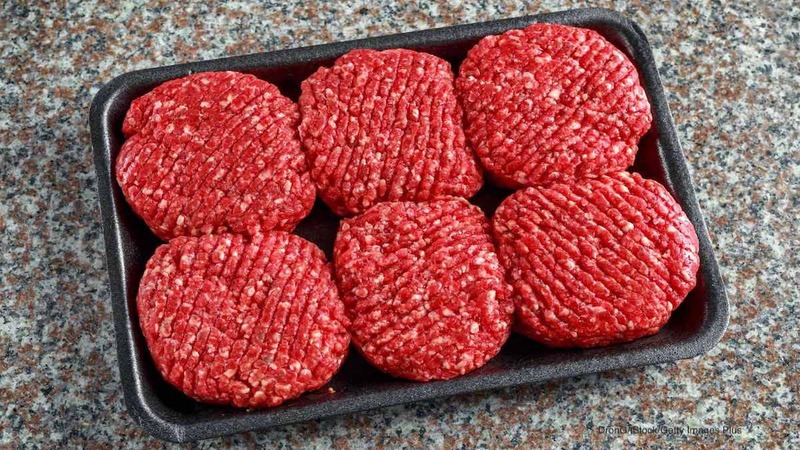 JBS Tolleson ground beef is associated with a Salmonella Newport outbreak that has sickened at least 246 people in 25 states. The recall issued in association with that outbreak that was originally announced on October 4, 2018 has now doubled. An additional 5,156,076 pounds of raw beef products is recalled, for a total of 12,093,271 pounds. The raw, non-intact beef items were packaged on various dates ranging from July 26, 2018 to September 7, 2018. All of the recalled products have the establishment number “EST. 267” inside the USDA mark of inspection or somewhere else on the label. They were shipped to retail locations and institutions nationwide. You can see the long list of recalled products, along with product code, use by date, and distribution level, at the USDA web site. The brand names of the recalled items include Generic JBS, Kroger, and Laura’s Lean. The list is 19 pages long. Some of the recalled items include Laura’s GB Loaf, Ground Sirloin, GB Grass Fed, Ground Chuck, Sirloin Patty, Ground Chuck Patty, Ground Beef Patty, Fine Ground Chubs, Kroger GB Loaf, and Ground Round Loaf, among others. Most of the use by/sell by dates are in August and September 2018, but check the list carefully. Officials are concerned that some of these products may be frozen in consumers’ freezers. Check your freezer to see if you have any of the4se recalled products. The USDA has also listed the stores and states where the recalled beef products were sold. That list is 31 pages long and includes stores in Arkansas, Arizona, California, Colorado, Florida, Georgia, Iowa, Idaho, Indiana, Illinois, Kentucky, Massachusetts, Maryland, Michigan, Missouri, Montana, North Carolina, Nebraska, Nevada, Ohio, Oregon, South Carolina, Tennessee, Texas, Utah, Washington, and Wyoming. Illness onset dates in this outbreak range from August 5, 2018 to October 16, 2018. Fifty-nine people have been hospitalized because they are so sick. Epidemiologic, laboratory, and traceback evidence indicates that ground beef produced by JBS Tolleson is the likely source of this outbreak. Sixteen patients have provided receipts or shopper card numbers for the investigations; that information has identified some JBS Tolleson ground beef products that were not part of the original recall. If you have been sick with the symptoms of a Salmonella infection, including a fever, nausea, vomiting, abdominal cramps, and diarrhea, see your doctor. You may be part of this outbreak. 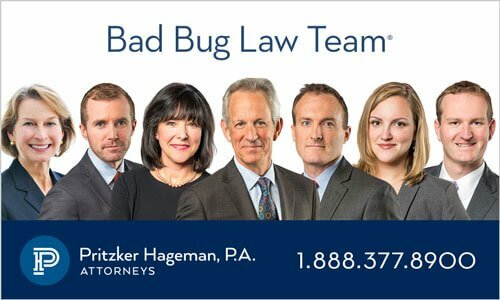 If you or a loved one have been sickened with a Salmonella Newport infection after eating recalled JBS Tolleson ground beef products, please contact our experienced attorneys for help at 1-888-377-8900.